Where does responsibility for critical asset management lie within your organisation? Is there a register of all sensitive/high risk/value sites and assets? If so who has access to this register, or any location where information on critical assets is stored? Are there effective communication links between staff with responsibility for critical asset management and security managers/staff tasked with security matters? If not how can these links be established? How often is your critical asset management register or files reviewed and updated? 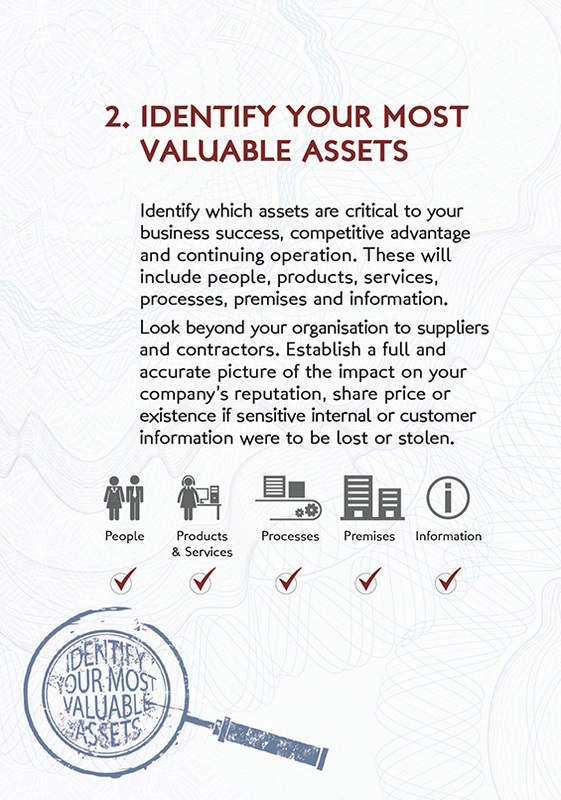 Has your organisation assessed the impact if critical assets were to be lost or damaged? Do any of your contractors or suppliers have responsibility for your critical assets – and if so what assurances do you have that your assets are properly protected? Personnel security risk assessment – examining risks that people pose to your most valued assets.